No need to take your little animals to the zoo – bring the jungle home! 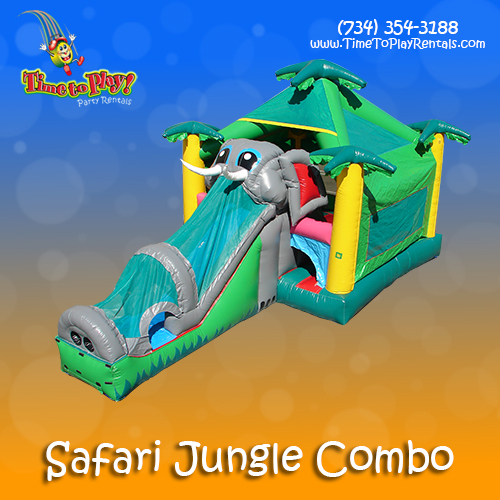 Our Safari Jungle combo inflatable (30’L x 17’W x 22’H) includes a jump area with pop-up obstacles and an adorable elephant slide. For larger events, pair this combo with our Aloha Bounce moonwalk or Palm Tree Slip & Slide.